Khalsa progressed safely through to Monday’s FA Vase draw after an extraordinary ten-goal clash which included an eight-minute hat-trick for Rico Taylor and three goals in four late minutes for the home side. Lee Chilton was the architect of much of the damage inflicted on Stone, either setting up or scoring the first five Khalsa goals. His first intervention was an assist, creating the opportunity for Dan Westwood to fire Khalsa ahead on 20 minutes and six minutes later the roles were reversed with Westwood putting the ball on a plate for Chilton to make it 2-0. The score line did, at times, flatter Khalsa and between the first two goals Stone had great opportunities, first for William Byers and then for Samuel Wilson, denied first by poor finishing and then by the rapid involvement of keeper Sam Arnold. Arnold had to again be at his best to keep out Wilson on the half hour, the striker should really have done better after good work down the left by Byers. Khalsa punished Stone further on 41 minutes, Josh Thomas looping a ball over the top of the defensive ranks for the predatory Chilton who smashed his second past Adam Alcock. The second half saw Stone continue to create chances, James Lee breaking through on 52 minutes and having the goal at his mercy only to lob high over the crossbar from range. Stone keeper Alcock produced a great save at the other end as Dave Meese’s header from Chilton’s corner was pushed onto the bar. 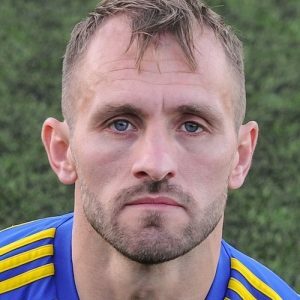 Hat-trick hero Taylor began his treble on 64 minutes, picking up the ball after great work by substitute Jay Holdcroft and Chilton to wriggle past a couple of defenders and firing home before making it 5-0 two minutes later once again thanks to Chilton’s passing. With Chilton withdrawn – much to the relief of Old Allynians – it was left to his replacement Johnny Haynes to turn provider for the pick of the bunch, a fantastic slalom and shot to finish the hat-trick. On 86 minutes it was 7-0, Holdcroft setting up Meese to finish after great work by Alex Perry. Having spurned a number of good chances, it was no surprise when the home side grabbed three late efforts, capitalising on Khalsa switching off at the back. First substitute Daniel Dolman drove a fine effort past Arnold on 88 minutes followed a minute later by Jack Tomlinson volleying in to make it 7-2. In injury time, Tomlinson crossed for Wilson to head home in style and make it 7-3, three goals in four minutes at the end of an eventful game which will live long in the memory. Sporting Khalsa: Sam Arnold, Carlo Franco (captain), Alex Melbourne, Shawn Boothe, Leon Miles, Alex Perry, Josh Thomas (Alex Woodhouse), Dave Meese, Dan Westwood (Jay Holdcroft), Lee Chilton (Johnnie Haynes), Rico Taylor. Subs not used: Tes Robinson, Vidal Hendrickson.